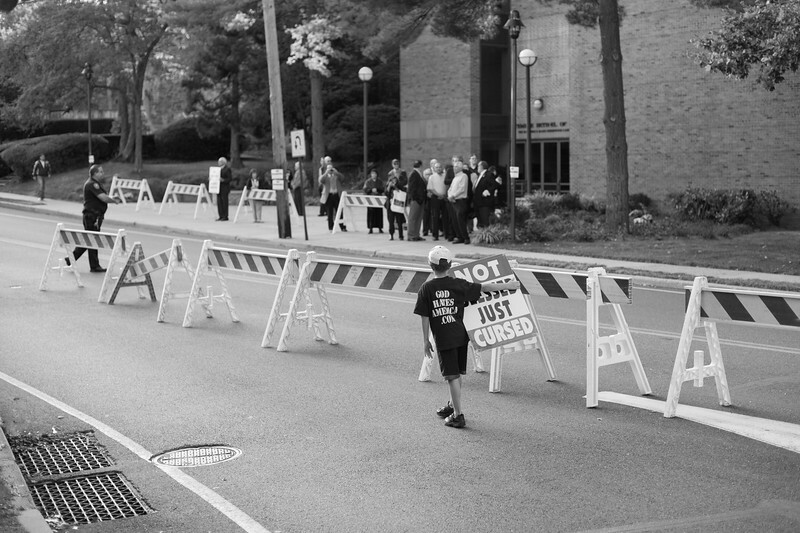 Just outside the Arlington National Cemetery. 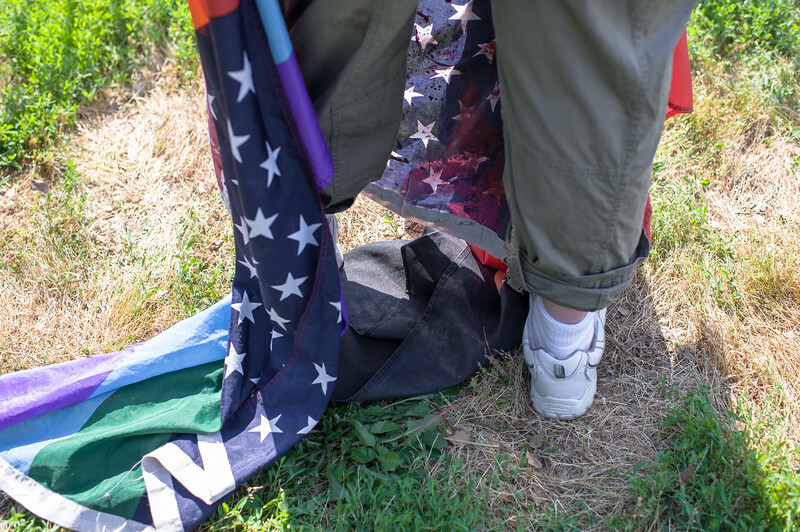 Memorial Day2012. 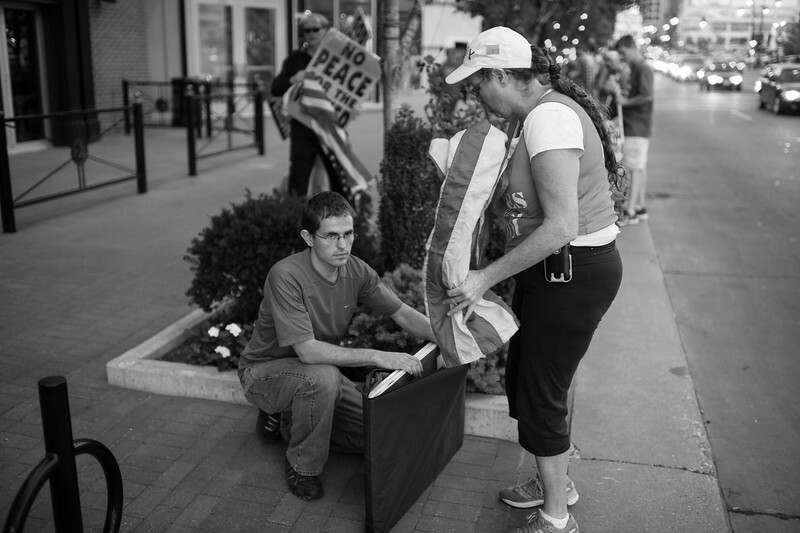 An unknown member of the Westboro Baptist Church in Kansas City, MO during a picket of a musical concert by Enrique Igesias in Kansas City, MO. 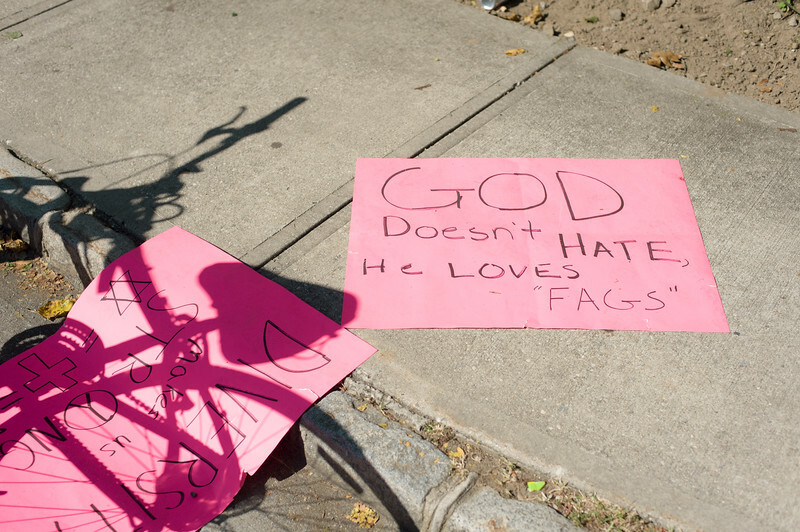 Members of the Westboro Baptist Church hold a picket against Jews in the largely Jewish community of Great Neck, NY. 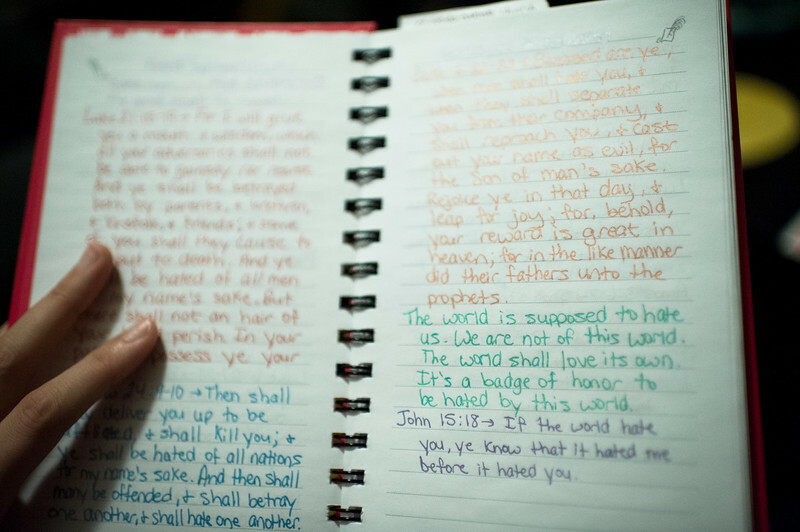 They acknowledge needing the press in order to complete their task of effectively preaching the word of the Lord. 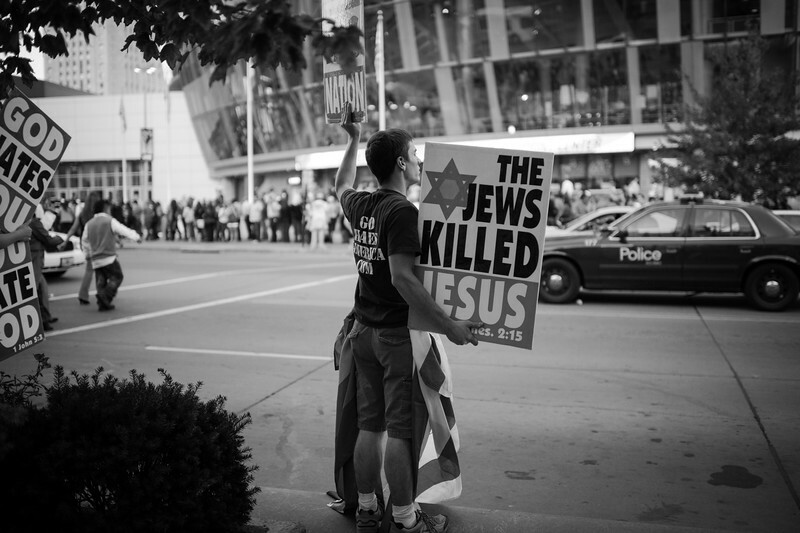 Some of the signs displayed that day stated that the Jews killed Jesus and Israel has stolen land from the Palestinians. 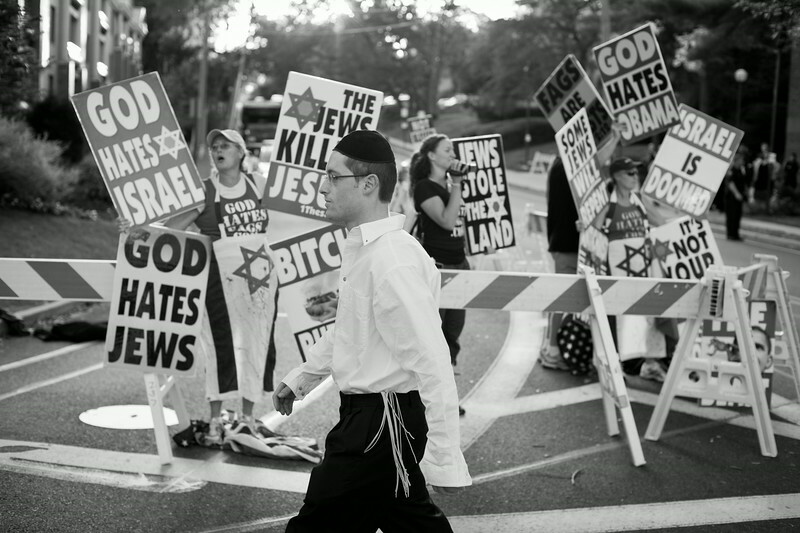 Members of the Westboro Baptist Church hold a picket against Jews in the largely Jewish community of Great Neck, NY. 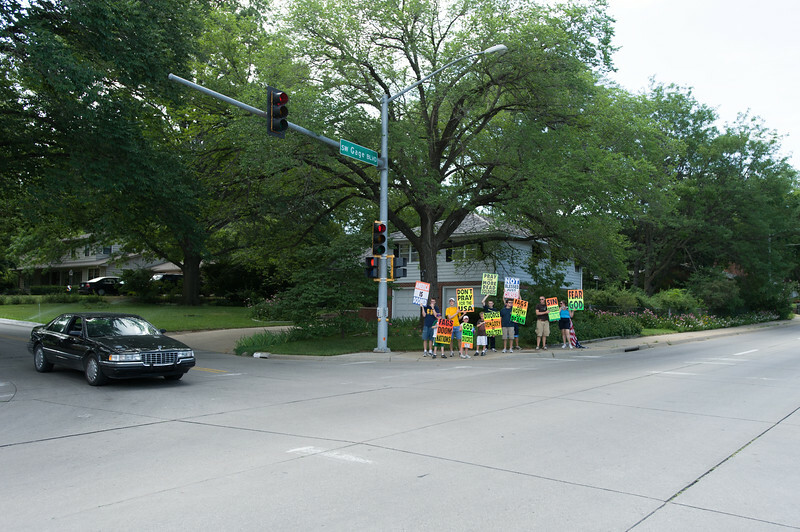 Westboro acknowledges needing the press in order to complete their task of effectively preaching the word of the Lord. Some of the signs displayed that day stated that the Jews killed Jesus and Israel has stolen land from the Palestinians. 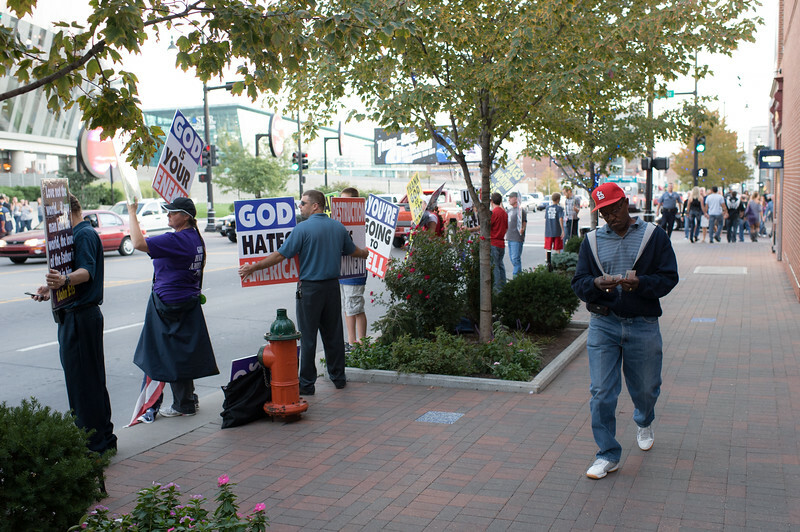 Westboro Baptist Church members protest society and it’s demoralization during a concert in Kansas City, MO by Enrique Igesias. 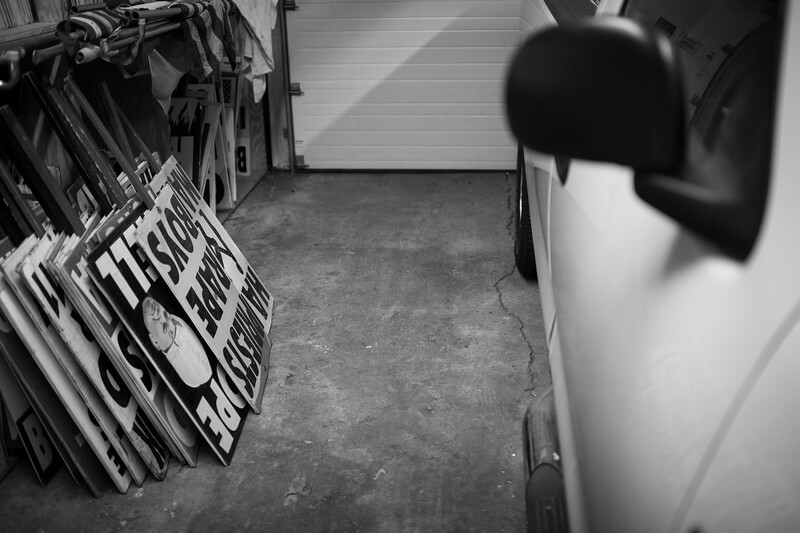 Various signs used during pickets in storage at the home of Shirley Phelps-Roper. 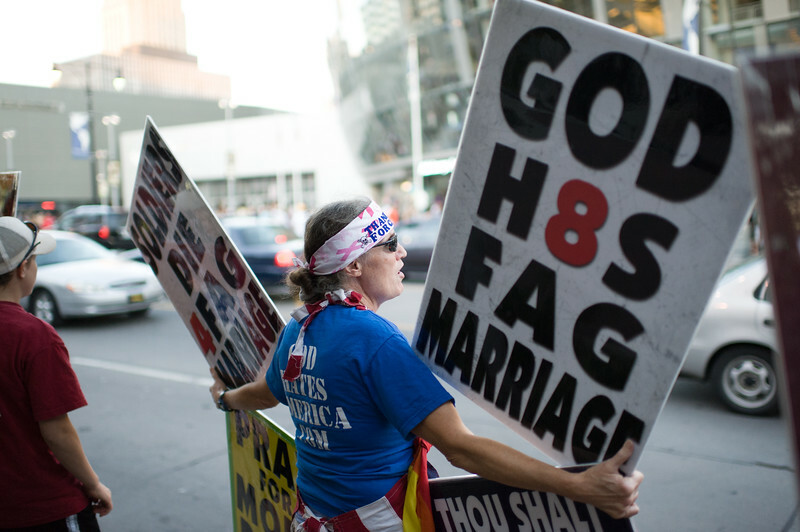 Once an active member of Westboro Baptist church, 27-year-old Libby Phelps was kicked out of the congregation and family home in 2009. 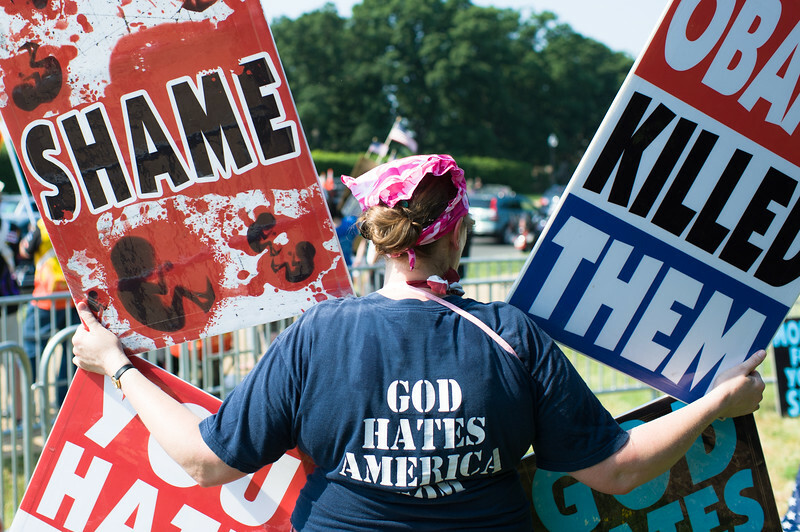 Libby was considered rebellious as she began questioning hypocrisies within the church; such as members being asked to pray in a form similar to Salah (Islamic method of praying) and calling to God for the death of various plaintiffs in the 2011 Snyder vs. Phelps case before the Supreme Court. The final decision was based on an intervention regarding her right to wear a bikini. 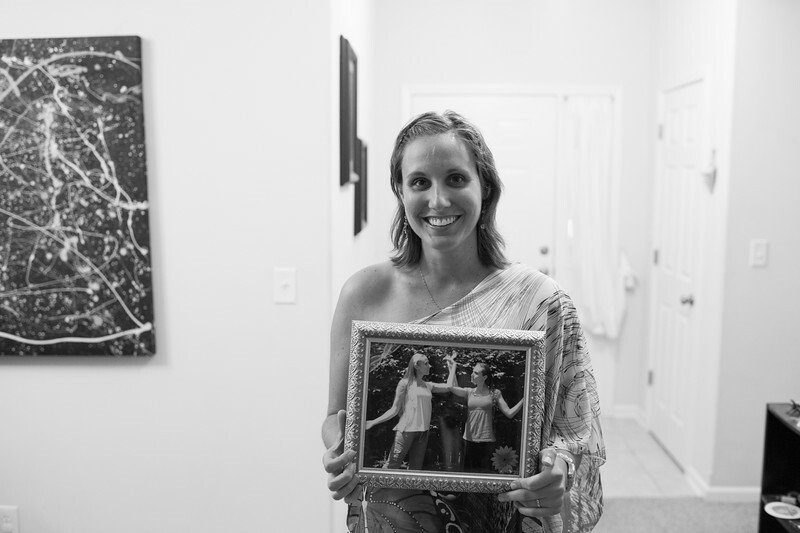 The photograph Libby is holding is of her and her sister Sara (on right), who was also asked to leave a few years later for not repenting for her “sins’ in an unrelated incident. 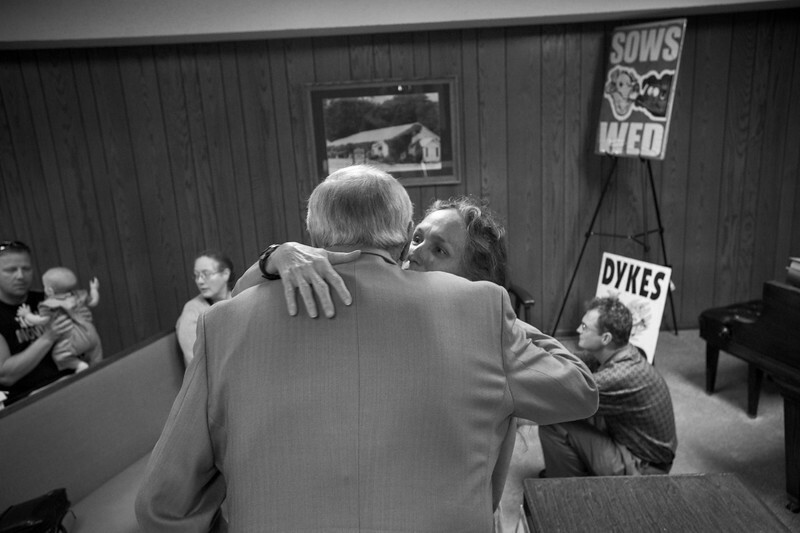 The late Pastor Fred Phelps and his daughter Shirley Phelps-Roper following Sunday service.